Tell us when you're in town and we'll start organising a customised tour for you and your friends. Our business specialises in sightseeing tours Hobart and surrounding regions. We can take a group of 4 people up to a group of 16 people on our tours. With a smaller group a tour becomes more flexible and personal. By travelling in our late model Toyota Mini buses you can take a little extra time at that location you find interesting. Bottom line is you get better service and more importantly your enjoyment of the tour is enhanced. We don’t have a 50 seat bus so you are not herded like cattle to locations that suit the bus company. You are not sitting around waiting for people you don’t know who haven’t made it back to the bus. Tours Hobart. We provide a relaxed and informative commentary of the day without going over the top. Contact us now and discuss the itinerary for your tour of Hobart. We think you are going to like what we do. Check out our testimonial page and see what our customers are saying. 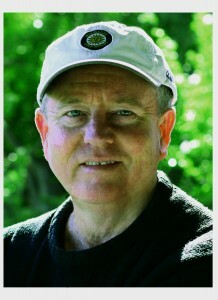 Trevor is an owner operator with many years of experience as a Tour Guide. He is a very safe and responsible driver who enjoys showing people around Hobart. Good with historical names and numbers but also interested in the human interest stories of the early settlers. Some of the locations that you could visit are Salamanca / Battery Point / Sandy Bay / Shot Tower / Kingston Beach / Mt Nelson Signal Station / Mt Wellington / City Tour / Botanical Gardens / Bellerive Rosny Lookout / Frogmore Creek Vineyards / Richmond Historic Village / Bonorong Wildlife Park / Margate Heritage Museum / Port Arthur / Willy Smith Cider / MONA Museum of Old and New Art. Tell us whether you prefer a Half Day (4hrs) or Full Day (8hrs). Include your must see destinations and we will put together a customised itinerary. Our rates vary depending on the size of your group and the time spent touring. Rest assured we will give you a tour and a price our competitors will find hard to match. Some of the locations that you could visit are Salamanca / Battery Point / Sandy Bay / Shot Tower / Kingston Beach / Mt Nelson Signal Station / Mt Wellington / City Tour / Botanical Gardens / Bellerive Rosny Lookout / Frogmore Creek Vineyards / Richmond Historic Village / Bonorong Wildlife Park / Margate Heritage Museum / Port Arthur / Willy Smith Cider / MONA Museum of Old and New Art. Tours Hobart. Our rates vary depending on the size of your group and the time spent touring. Rest assured we will give you a tour and a price our competitors will find hard to match. Hobart Tours. 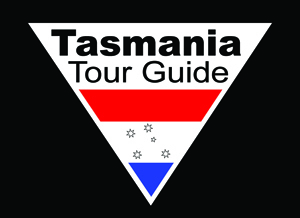 Guided tours around Hobart, Tasmania and surrounding regions. Full and half day tours in late model Toyota Minibus. Contact us to customise a tour to suit your group. If you come all the way down here, you probably really like our website. To save you all the troubles finding where to email us, we have a solution for you. Click the button below. Website Designed By Return On Click. © 2019 Tasmania Tour Guide. All rights reserved.